If you’re like a lot of the soon-to-be-mothers of a one year old I meet, you may be a little stressed out planning the birthday party and who can blame you! After all, your baby is about to turn one. Believe me, I can absolutely relate. Let me tell you something, though. 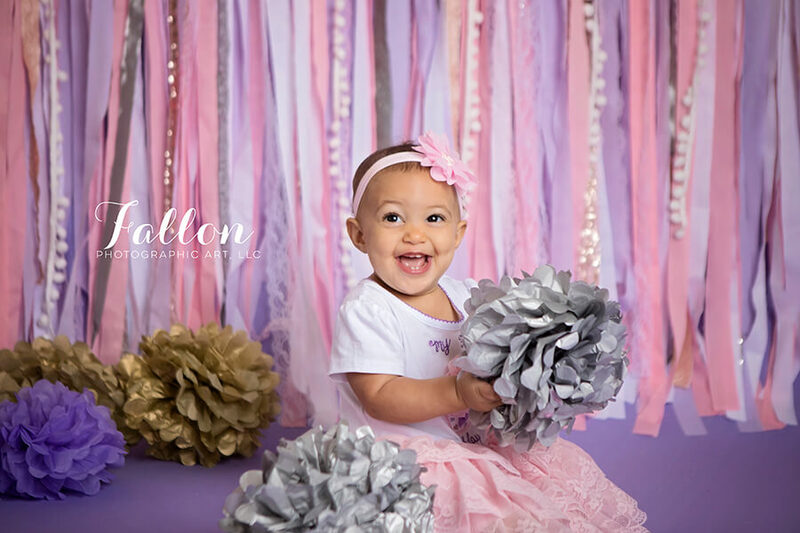 You are going to be so happy making the decision to book a cake smash session. 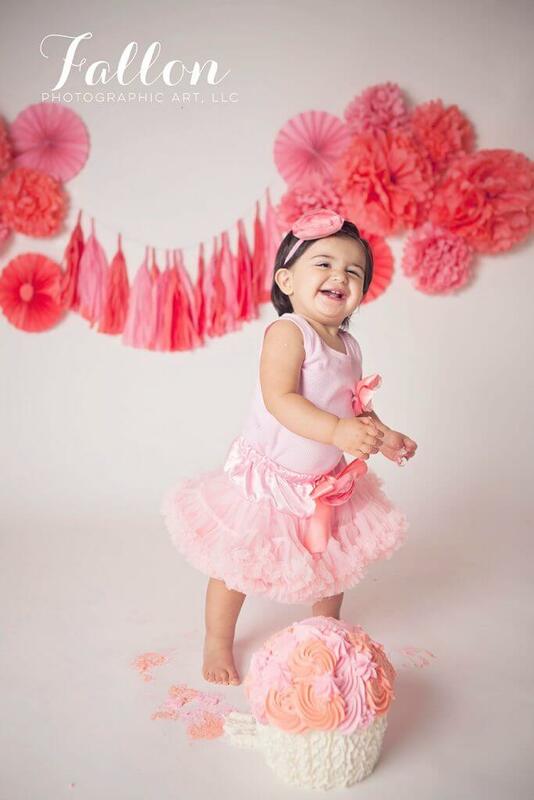 In this moment, we are going to create memories that will show how special a one year old is. Every single picture we take will showcase the pure joy of being one. I’ve said it before and I’ll say it again: there is an unparalleled joy that radiates from a one year old. A joy so unique to being one that it’s impossible to replicate under any other circumstance. 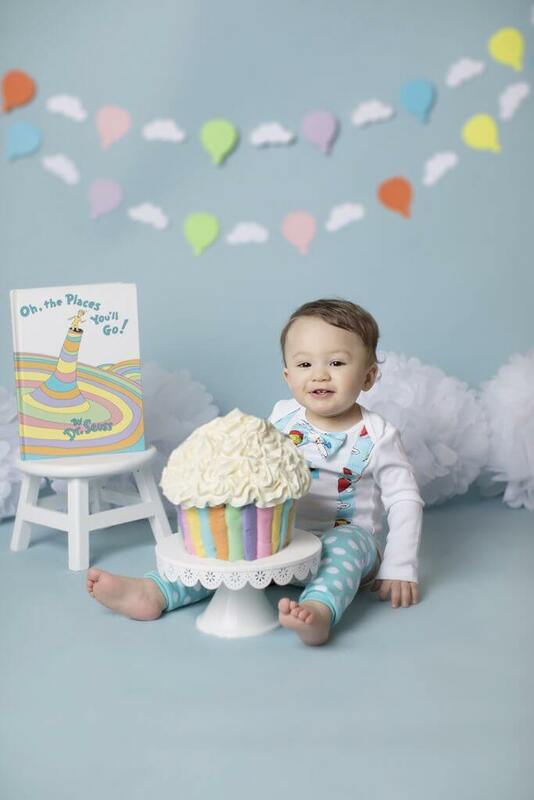 These thoughtful, artistic cake smash photos of your one year old will be treasured by you, your significant other, your friends and family and, yes, your child, forever. 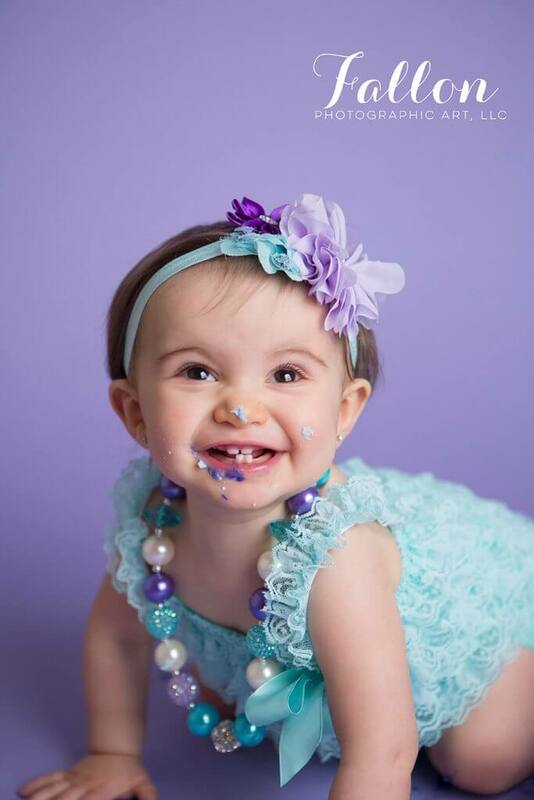 For the cake smash shoot, we’ll take a variety of photographs of your child. We’ll get photographs of your child before we let them have cake, eating the cake and what the mess looks like after the cake. For the cake smash session you can pick what colors you would like to incorporate into the session. We can discuss what colors coordinate well together. If there is a theme you would like to do for the cake smash session we can discuss how that theme can work for the session. 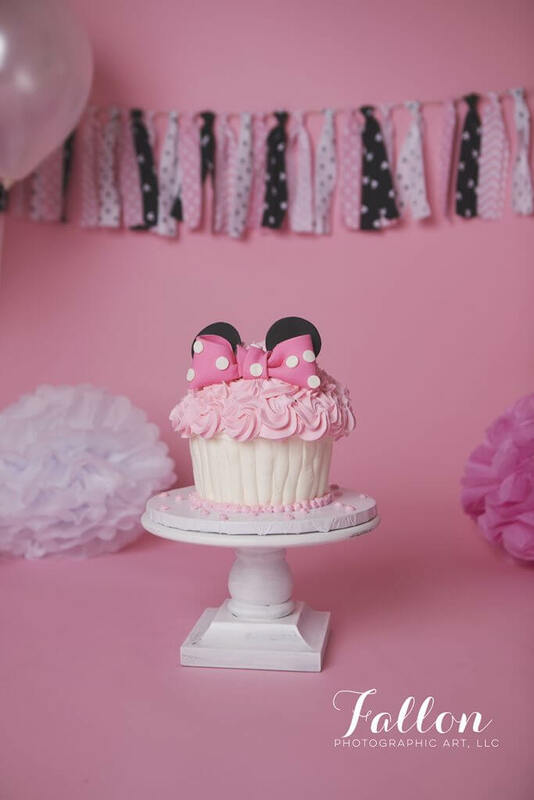 For the cake smash session you can pick what props you would like to incorporate into the session. If you pick a theme we will discuss what props work great with that theme. A cake smash session can go two ways, and I’m prepared to photograph either! Some one year olds love cake and will go to town eating the cake and they just can’t get enough. Other one year olds are scared of the cake, they will cry and won’t eat any cake. I like parents to be prepared for both possibilities. When a one year old cries from the cake some parents can be disappointed. I understand this can be difficult when you wanted the cute, messy and funny cake smash pictures. Children have a mind of their own and we will just go with the flow. In the next section of this guide I will provide you with some tips that will help you prepare your child to not be scared of the cake. Although this works for some children it isn’t guaranteed to work for all children as each child has their own personality. Whatever the outcome, know that this session is definitely going to be one to cherish as they only turn one once! During your consultation, we’ll discuss the various creative ways we can set up the cake smash session, I’ll take it upon myself to do most of the planning for you. We will discuss what type of cake would be best for the cake smash session. If you pick a theme we can discuss what type of cake will go with that theme. We will discuss outfit colors and what type of outfits will look great with the colors or the theme that you pick. I want to capture the joys of being one. I want to document the look on their face when eating the cake. Those are moments so precious that you can’t even describe them with the letters of the alphabet. They say that a picture is worth a thousand words, but I contend that a picture is worth far more. You have a vision for what you want the cake smash session to look like, I want to help you create your vision. I have some tips that can help make your vision happen. I previously mentioned how some one years olds can be scared of the cake, because of this here are somethings I recommend that can help so they aren’t scared. Do a practice run at home with a tiny cake so baby gets used to the idea. Let your child play with frosting three days before the session so they can get use to the feel of frosting. Some one year olds get scared because they are at a new location that they are unfamiliar with, here are somethings I recommend that can help them feel comfortable. If your child still takes a pacifier, bring one with you in case they need to calm down. Lastly, make sure your child is well rested, if they skip their nap they can become cranky and irritated. Even if they like the cake they can refuse to eat it from being overly tired. Here is a list of items to bring with you to the cake smash session. Four outfits, you will need at least one outfit for the before the cake pictures. If you don’t want them to get cake all over that outfit you will need a separate outfit for them to wear while they are eating their cake. You will need to bring one backup outfit in case of any accidents and they need to change. You will need an outfit for them to wear once they are all cleaned up and the session is finished. 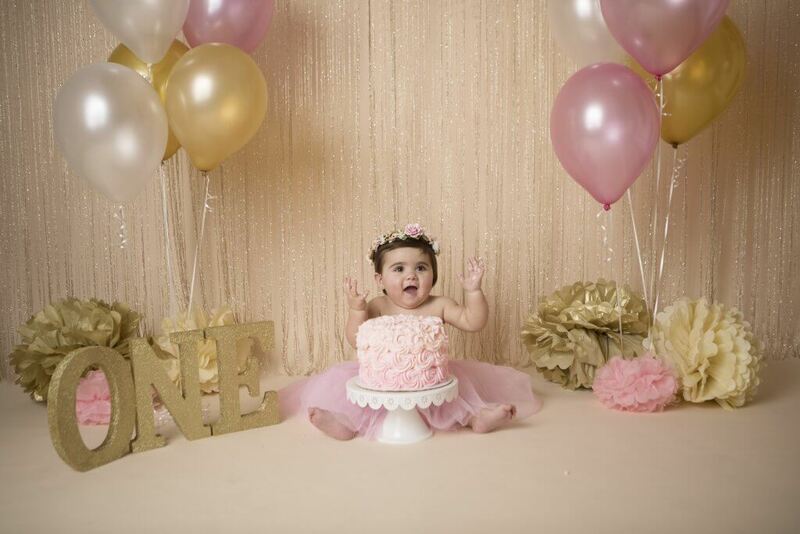 When should I schedule cake smash photos? As a general rule of thumb, I like to schedule the cake smash session 4-6 weeks prior to their birthday party. If you are using the pictures for invitations or to decorate with at the party this will give us plenty of time to find a great day that works well for both of us and to have enough time to get the pictures back in time before the party. What should I consider when planning outfits? My biggest piece of advice is to choose something that coordinates well with the colors or the theme that you picked out. My second piece of advice is for you to choose cute accessories that match the outfit. Can parents or siblings be in the photographs, too? Most one year olds are unpredictable and some children take longer than others to photograph the before the cake pictures and the actual cake smash pictures, I can’t guarantee we will have enough time for family photos so I always suggest booking a separate family session. The session will last 60-90 minutes. What about props for sessions? During our initial consultation, we can discuss the props I have available and what you’d be interested in using during our shoot. For example, I have various backdrops, blankets, baskets and other items. I am also 100% open to you bringing your own props. In fact, I love it when parents have their own props! After all, using something special of the child’s may prove more meaningful to you. 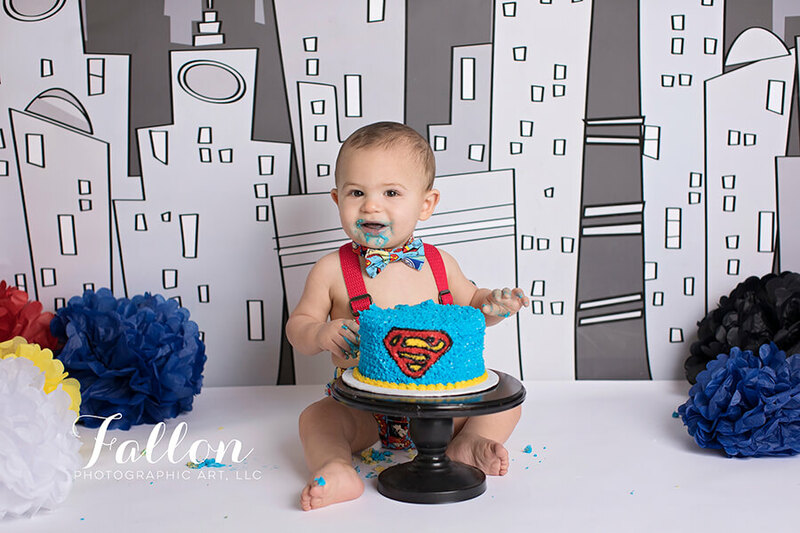 I hope that you will consider Fallon Photographic Art LLC for your Cake Smash Session Portraits. Should you have any questions, we are always here to help! Please feel free to contact us at fallonphotographicart@gmail.com. We look forward to hearing from you!